Today is an ending of sorts. I am seeing posts from quite a few people who are grateful that 2017 is coming to an end. Apparently it hasn’t been a good year for many. But I also noticed on my memories feed for today that in past years, it wasn’t a good year either for many. And I wonder, how many say the same thing every year? Good riddance they say! I prefer another way. There is a spiritual book I study that says “we have no wish to regret the past nor to shut the door on it.” There is another spiritual book I study that says “principle is not bound by precedent.” Same concept, different words. What it means is that our past has power to determine our future only if we allow it. What if we used this principle as a way to do it different this time? What if we bid 2017 a fond farewell, releasing with gratitude everything that occurred, and then looking forward to the new year with excitement, enthusiasm and child like anticipation? What if we refused to allow what happened in past effect the decisions and actions of the future? What if we were no longer victims of our stories? 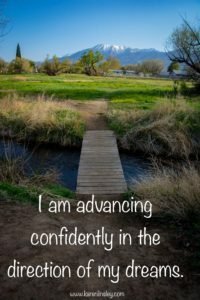 What if we simply “advanced confidently in the direction of our dreams?” as Henry David Thoreau said. This New Year’s I will be setting intentions, not resolutions. Resolutions are useless, a waste of time. 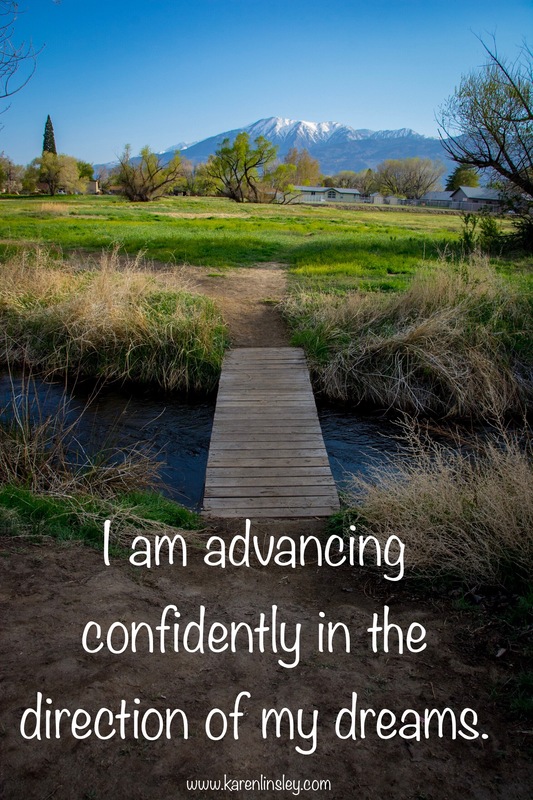 An intention such as “I will advance confidently in the direction of my dreams” is a guide for a way of living that ensures success. I wish you a happy new year! Previous article:Make 2018 THE BEST YEAR EVER!